Please sign this petition! 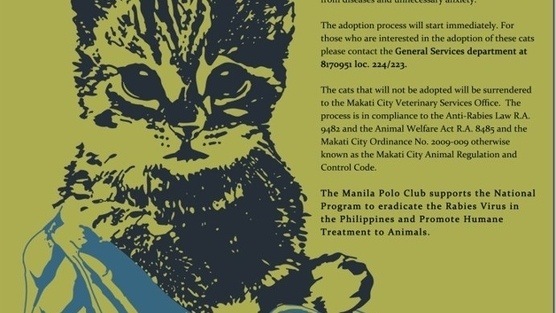 The Manila Polo Club wants to round up the already spay/neutered cats who have been living on the grounds for many years and send them to the Makati City Vets Office where they will be euthanized 3-5 days after being caught! Please help us stop this cruelty!